RAB Professional Development delivers our highly-acclaimed classes right to your computer, giving you access to this training any time and anywhere you have internet. RAB Professional Development Online combines video with text, learner interaction, and online quizzes for a complete learning experience: the most relevant training available in an entertaining, easy learning format. What's more, Sales Managers are able to monitor progress of classes and accreditation via email notification. You can upgrade your Unlimited Total Access training plan to include RAB's Certified Radio and Integrated Marketing Consultant (CRMCi) and Certified Radio Sales Manager (CRSM) training and accreditation courses. You can put all of your staff through all of the courses to grow their skill sets. You might even consider putting potential hires through the Radio Marketing Professional (RMP) course before investing in draws and guarantees that don't pan out. This is truly the most comprehensive and most affordable RAB training ever; designed to meet all your sales training needs for an entire year! Contact Kim Johnson for registration information for you or any of your staff. Call: 972-753-6759 or click here to email. The New Certified Digital Marketing Consultant online training program addresses the needs of all radio sellers and managers. This is a comprehensive program that gets digital beginners up to speed quickly with 20 video classes developed by over a dozen digital experts. Thisclass challenges even experienced digital marketers with new ideas in mobile, social, streaming, pricing, programmatic, contesting, email marketing, consulting services, systems, and metrics. Successful completion leads to the new CDMC Certification. 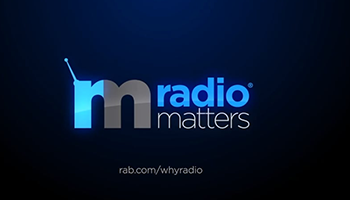 RAB's Radio Marketing Professional (RMP) brings the best of our highly-a claimed classroom training to anytime, anywhere learning for your newest Radio sellers. The 17-Module course covers effectively positioning yourself as a marketing consultant, maximizing your time, prospecting, appointment, CNA's, written presentation, Co-op and NTR, competitive media and more. The Certified Radio Marketing Consultant (CRMC) is designed for sellers with at least 18 months experience, or those with 1 year having also earned their RMP. Intensely focused on helping your top billers bill more, this program allows your advanced sellers the opportunity build their expertise with little or no time off the street. The course focuses on personal branding, new revenue streams, negotiation, consumer marketing, and more. Create marketing campaigns that deliver dynamic results for advertisers by writing effective commercials. This RAB Certification was developed in cooperation with Dan O'Day, one of radio's most respected creative consultants. In this course you will hear how to use storytelling, when to use phone numbers and addresses, how to avoid commercial babble, how much copy is too much, and more in a total of 41 audio modules. Dan narrates each module and includes examples of effective commercials for the best learning experience.